S.C. Dutta is an Associate Professor of Irrigation and Water Management at the Bangladesh Agricultural University, Mymensingh. He possesses a distinguished academic career and earned reputation for his original contributions in irrigation research. 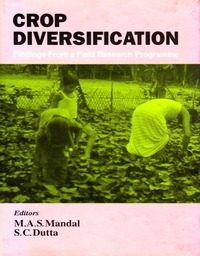 Dr. Dutta was declared as the best post-graduate student of the year in Irrigation Water Management at the Silsoe College, Cranfield University, England and was awarded the United Kingdom Irrigation Association (UKIA) Trophy in 1990. he has published many research papers in national and international journals. The editors have had long experience of working together on irrigation research and jointly published many articles on irrigation and water resources issues.